I have spent a lot of time on boats and canals, waiting in locks to keep moving downstream, it is stressful. You do not want to bump the lock or other boats. ​This watercolor was made in France the summer of 2016 on the Burgundy Canal. The boat on the bottom is mine and there was a group of Russians in front of us. We were traveling next to them for hours. They did not care if they left room in the lock for us, yet they expected us to operate it for them, I liked it better when there was an Iron Curtin. 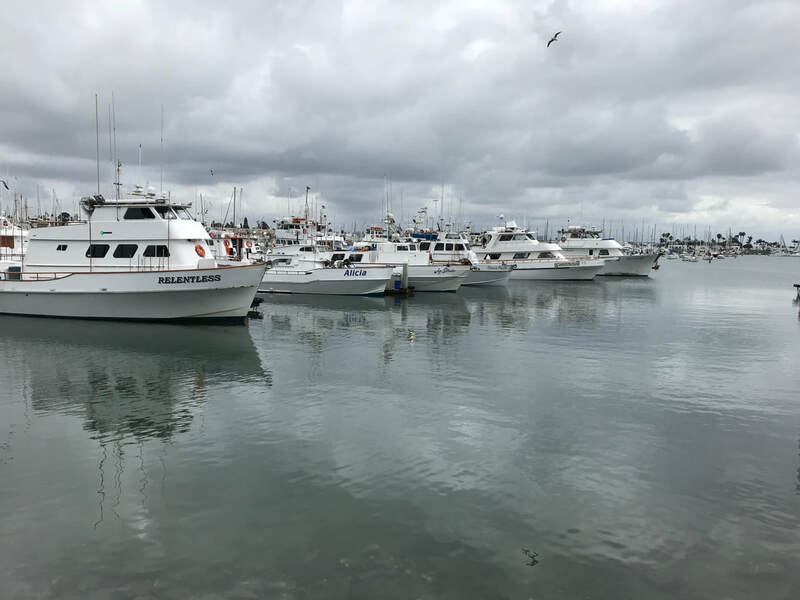 I was driving down Torrey Pines Road to La Jolla Shores, (places in La Jolla) like I had done many times before; however, this time I was on a boat and the road was a river; I was so happy that I wanted to make this dream real. I realized that gravity would never allow this to happen. 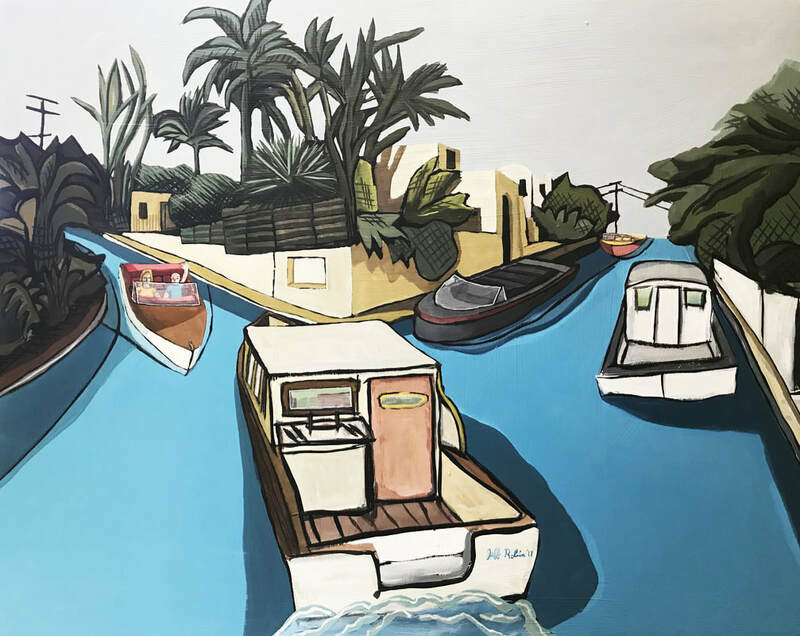 This was the first drawing - painting of my dream, when I made this painting I figured out I really did not know what boats looks like going down hill, most people don't. On the bottom right I wrote "Look on Sketch Up" and so I did. Where the idea came from, I think. Wilbur the protagonist agrees to show a Chinese man with a particularl interest in his and his twin sisters papers on gravity, how to manipulate and turn gravity on and off. 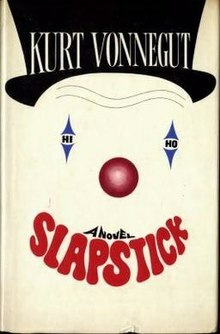 I love this book and have read it many times, like most Vonnegut books. I was always impressed with the ideas that something so basic to our existence on earth, Vonnegut put a light switch on it. I know this place, this is where Country Club Road and Mar Ave come together. I always liked this hill my friends Mom lives here on the right. 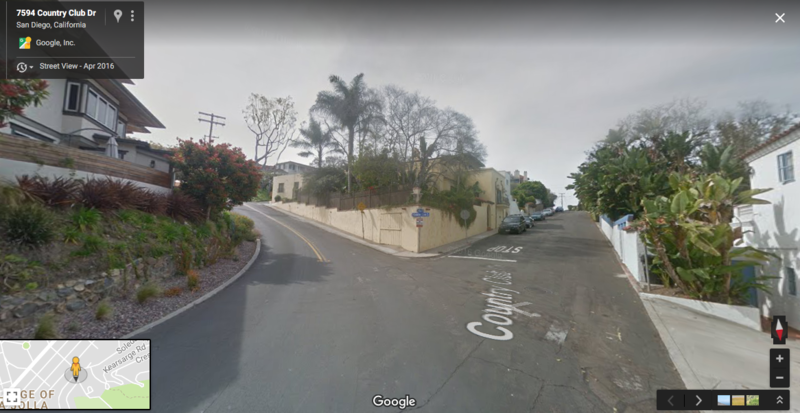 I loved to idea that boats could operate like cars on such a steep street. I found different colors of water. The reflection of the sky and the ripples in the water. Looking at the water and the placement of where I think the texture and the reflection would be the best, I Photoshopped it in. Having a source image is very important, Van Gogh painted in a field. I needed to find boats, and I needed to find boats with details and at the correct angle. I could not draw the boats going down hill or going uphill from a picture or from memory becausethat has never happened. 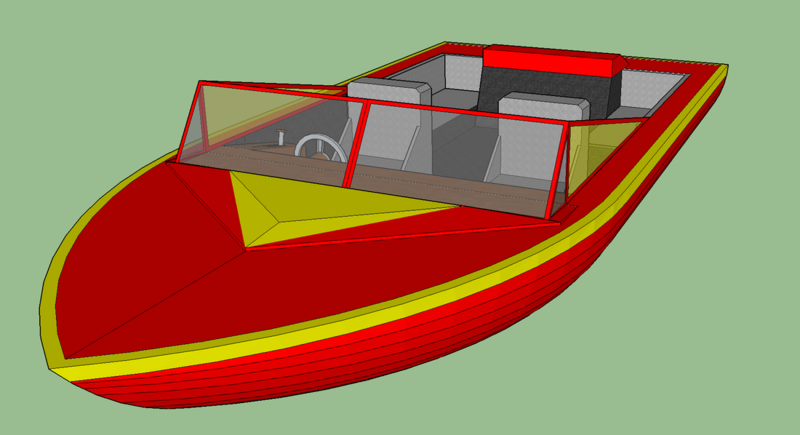 I use boat modles from Google Sketchup. I would estimate the angle and the direction, screen shot it and then put it in the the canal that I constructed. Here is my Maquette. Google Street View, Google Image Search for the water and Google Sketch-up for the boats, how could one paint nature with out it.